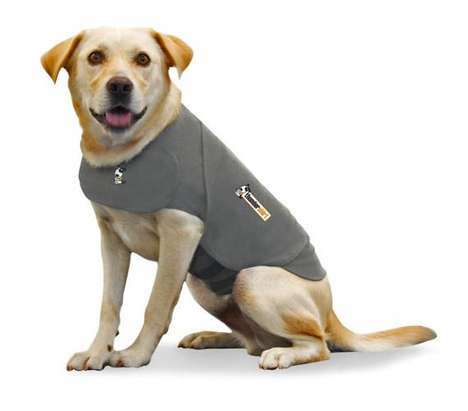 A picture of a dog in a jacket that’s meant to, somehow, keep it calm. For a long time, I thought of not-doing-a-worthwhile-thing as being somewhat equivalent to doing-an-unworthwhile-thing. For example, I thought of not meeting my weekly word count as being equivalent to spending all day eating junk food. I didn’t draw the distinction between actions that were harmful and those that were merely neutral. But there is actually a huge difference. If I’m not very productive writing-wise, for a month, then I don’t harm myself (I merely fail to make progress). But if I was to stop updating this blog for a month, then I’d lose lots of readers. If I was to watch TV all day, then it wouldn’t be great for me on a psychic level, but it wouldn’t cause me nearly the kind of physiological harm that I’d have if I spent all day eating cookies. Nowadays I have so many things that I’m trying to do (I would come off as a crazy person if anyone knew the kinds of activities that I track on a daily basis) that it’s pretty easy to just get to the end of my rope and find myself unable to make everything work. For instance, this week is just not gonna be a productive writing week. I was sick for the beginning of it and for the remainder of it I’ve just been so stressed out by professional and personal issues that writing was the furthest thing from my mind. But even as I’ve let slide many things in my life, I’ve been careful not to let everything slide. I’m still trying to wake up in the mornings. I’m still trying to eat (more or less) right. I’m still doing a little writing each day (just to maintain the habit of it). Because of all this, I know that next week I’ll be in no worse a place than I am right now. What, you mean like what if I take to my bed and die? Well…that will certainly happen eventually…unless a car hits me first.